Patients with thoracic outlet syndrome (TOS) often present with neck or shoulder pain, numbness or tingling that affects the entire or part of the upper limb, and weakness in the arm. Sometimes patients may complain of coolness or venous engorgement of the affected arm. Patient with TOS often complained of signs and symptoms that result from irritation of the artery, venous, neural structures or a combination of the structures above. 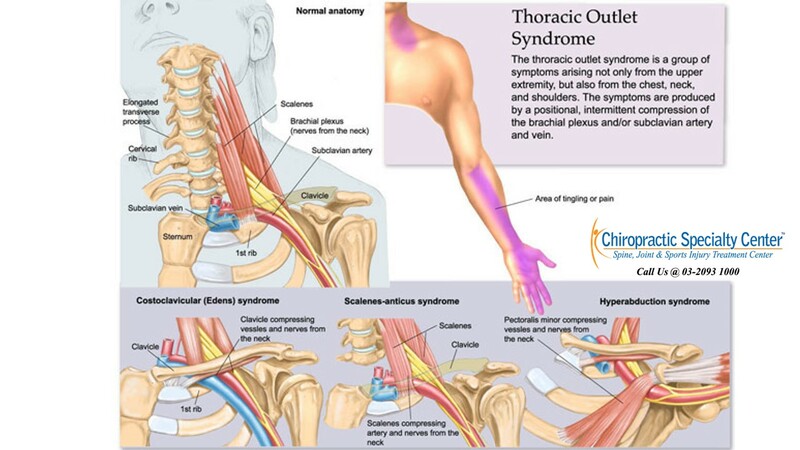 Thoracic outlet syndrome is a group of conditions due to compression of the neurovascular structures that run from the neck to the axilla through the thoracic outlet. The brachial plexus and subclavian vessels are most commonly being compressed as these structures are located very close to each other in the thoracic outlet. These neurovascular structures are most commonly being compressed at the costoclavicular space which is located between the clavicle and the first rib. This is commonly known as the costoclavicular syndrome. Another common site of compression is the space between the anterior scalene muscle, the middle scalene muscle and the upper border of the first rib. This is usually known as the anterior scalene syndrome. Hyperabduction syndrome or pectoralis minor syndrome involves the compression of the neurovascular structures at the space between the coracoid process and the pectoralis minor insertion. 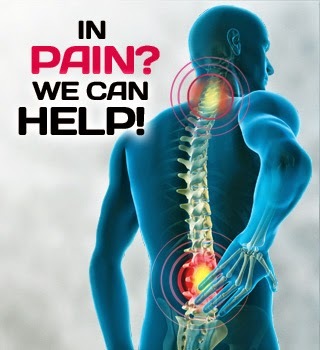 Chiropractic care coupled with physiotherapy in Chiropractic Specialty Center can help to alleviate the signs and symptoms of thoracic outlet syndrome. For more information or inquiries, please contact us at 03-2093 1000.